Welcome to the Film Actors Workshop! Tony Barr started the Workshop over 50 years ago to train actors for the film and television industry. His original idea was to create a learning environment that was as close as possible to a Hollywood studio environment. Today we are bringing Tony's vision into the 21st century! In our multi-cam 4K studio, students work on scenes from feature films. They cold read one week, then rehearse and shoot the next. Playback and analysis of the work takes place the following week. 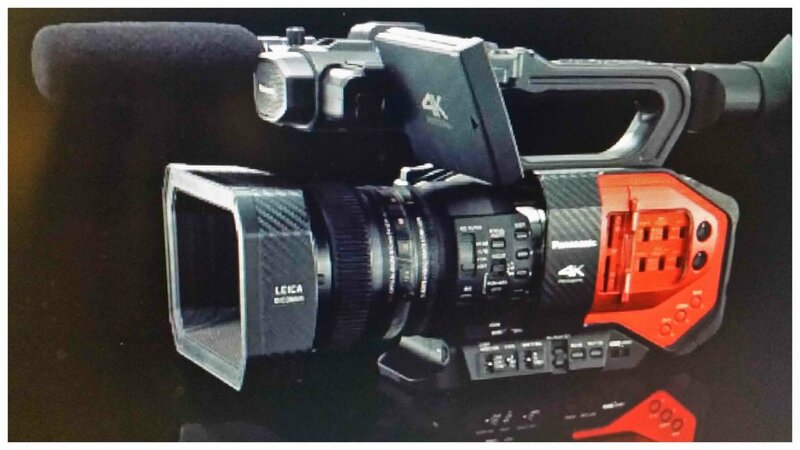 With our Panasonic 4K cameras, our Blackmagic Design 4K switcher, our Mole-Richardson boom, our AKG microphone, and our full array of lighting, we are now one of the best equipped workshop's in the country. Our new equipment makes it possible to make demo quality recordings of all our scenework. Copies of these recordings are available to students for a nominal fee. Tony Barr started the Film Actors Workshop in 1960. Tony was a network executive for over 25 years, first at ABC, then at CBS, where he was a Vice President of CBS Entertainment Productions. He was responsible for the creative supervision of "Dallas," "Magnum P.I.," "Lou Grant," "Trapper John," "Knots Landing," and many other classic CBS dramatic series. Tony passed away fifteen years ago. His legacy continues on with his students, and with a whole new generation of acting teachers for whom he is both a mentor and an inspiration. As a teacher, Tony always stressed the importance of listening -- not just to the spoken dialogue -- but to the implications of every word, every movement, every pause. His approach teaches the actor to work from himself, and to be simple without becoming de-energized. Eric has taught classes at the Workshop for 20 years. Eric has an M.A. in Television Production, and was a Visiting Lecturer in Drama at U.C. Irvine. He's coached actors for 1000's of auditions and roles in films and television. He has also worked as a visual consultant on many television shows, including "Grey's Anatomy," "Medium," "Brothers and Sisters," and "The Gilmore Girls." "I also took a lot of classes with a wonderful acting teacher, Eric Stephan Kline at the Film Actors Workshop...and the performance techniques of Eric...that technique was very useful." "If you're an L.A.-based actor and want to work with the best film acting coach, I can't recommend Film Actors Workshop highly enough. Eric Kline...will make you a stronger, more confident, and professional actor, armed with an invaluable skillset..."
-- Jorg Tittel, dir., "The White King"
"...one of the most helpful, most understanding books for actors..."
"It is fast reading, easily understood, and beautifully laid out. Now I know what I do." "Tony Barr's Acting For The Camera is the best book of its kind I know." "...his work has earned him a solid reputation as a teacher of acting techniques...In Acting For The Camera he has put it all down on paper." Classes are limited to 14 students, so that every actor can work every night. Classes meet once a week, from 7:30 to 10:30 p.m. The Advanced Class meets on Monday nights. The Beginning Class meets on Tuesday nights. Tuition is $210 a month. There is a one-time registration fee of $45. Tuition is on a month-to month basis. Tuition includes 1/2 hour of private coaching for all auditions!